Wildwood is an island located in Cape May County, New Jersey. This island is comprised of North Wildwood, Wildwood and Wildwood Crest...with each being designated as their own city with local government. It's one of the most popular south Jersey Shore destinations. When traveling to this beautiful location there are hundreds of different hotels, motels, bed & breakfast inns, guest houses, resorts, condos, etc. that you can choose to stay in. 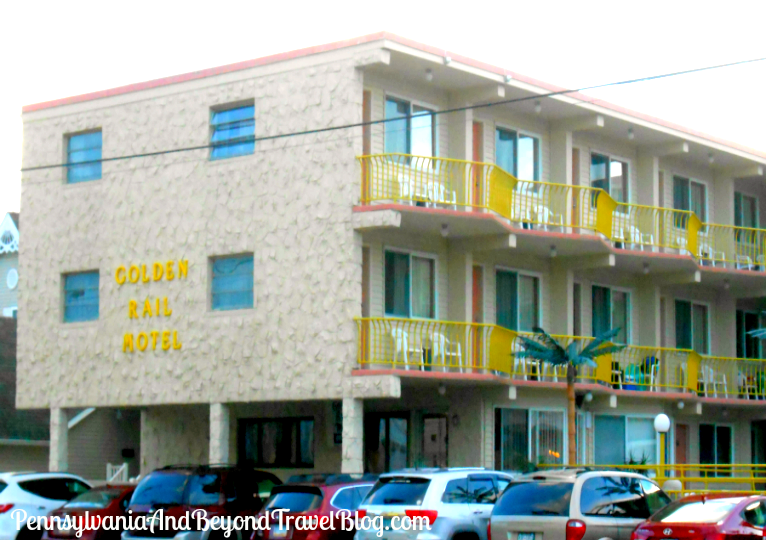 With that said, today we are featuring 11 different hotels and motels in Wildwood for you to consider. 1. 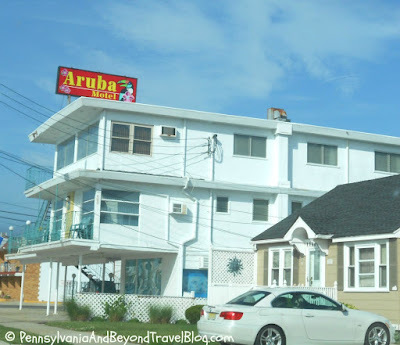 Aloha Oceanfront Motel - This is one of our personal favorites in North Wildwood and it's one of the very few in the area that offers oceanfront and ocean view motel rooms. They feature a heated swimming pool, indoor game room, on-site cafe/grill, large sundeck, free parking, etc. 2. Harbor Light Family Resort - This resort our second favorite place to stay while visiting the island. We love Harbor Light because they have an elevator, handicap accessible rooms, two heated swimming pools, large sun deck, outdoor barbecue grills, ice machines, free parking and more! 3. 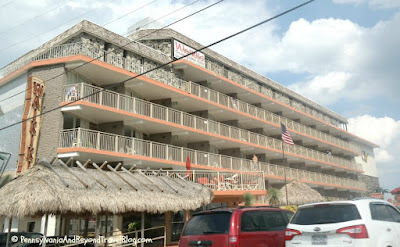 Athens II Motor Inn - This motor inn is another one that is 100% beachfront in North Wildwood. They have beautiful efficiency suites, a penthouse which is quite large, heating swimming pool, barbecue grills, elevator service, free parking and more! 4. Beau Rivage Beach Resort - This beach resort and hotel is located in Wildwood Crest on the southern portion of the island. They offer very nice & clean rooms, a heated swimming pool, laundry room, meeting room and free parking for their guests. 5. 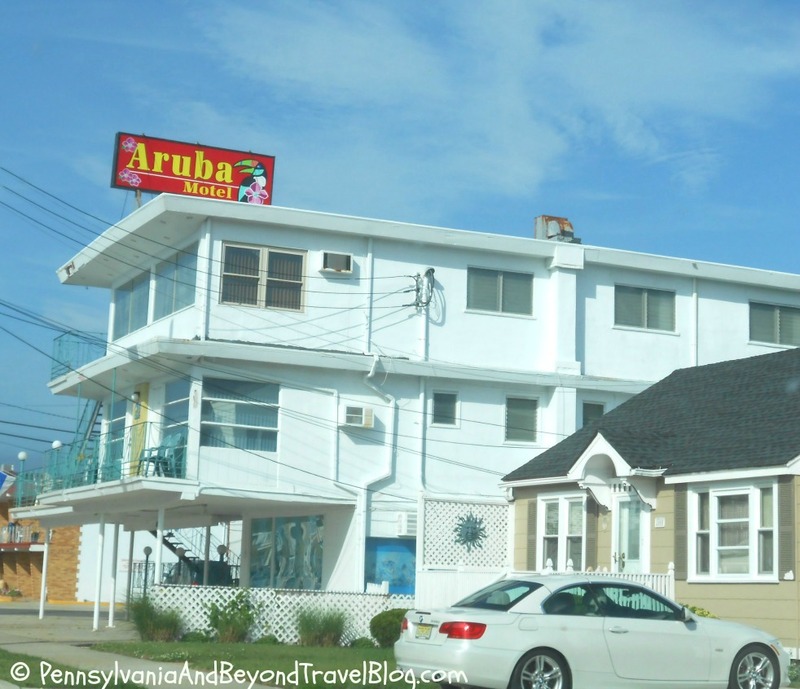 Aruba Motel - This motel is located in North Wildwood and offers your standard style motel rooms. They have a nice heated swimming pool, rooms with balconies, free parking for motel guests, etc. 6. Island Breeze Motel - This motel is located in North Wildwood but really further down the island and pretty centrally located near the boardwalk. The other hotels I listed above are more towards the northern tip of the island. They offer your standard style motel rooms, heated swimming pool, plenty of free parking, etc. 7. Waikiki Oceanfront Inn - This hotel is located in Wildwood Crest and is within a few minutes of Cape May. So if you want to be centrally located between the two...this would be a good choice to make. They have a large oceanfront swimming pool, cabanas by the pool, laundry facilities, 13 different types of rooms, free parking for guests and a whole lot more!!! 8. 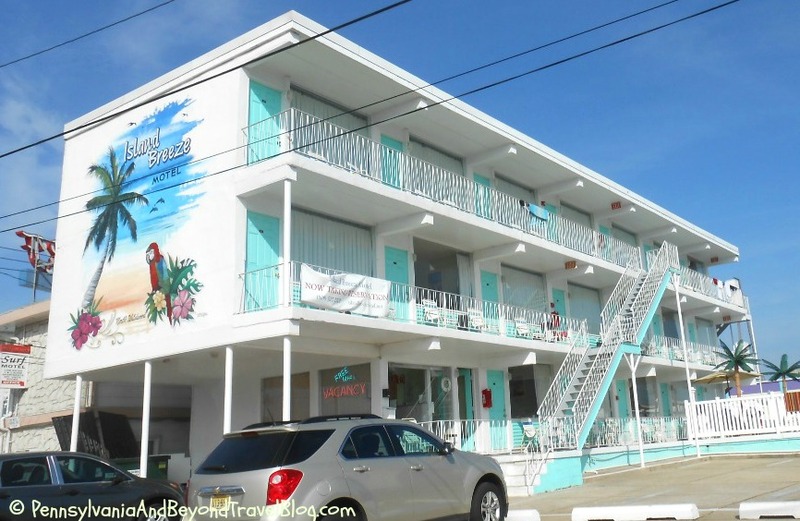 Jade East Motel - This family-friendly motel is located in North Wildwood and is one of our favorite places to stay when traveling with our young grandchildren. It's on the beach block and only a short walk from the beach. They have various room styles to suite any family's needs, a heated swimming pool, 3rd floor sundeck, barbecue gas grill and private off-street parking. 9. Golden Rail Motel - This family-friendly motel is located on Ocean Avenue in North Wildwood and offers your standard motel rooms and one-two bedroom mini apartments with kitchenettes. They have a heated swimming pool, a large sundeck, barbecue gas grill, a game room, etc. 10. 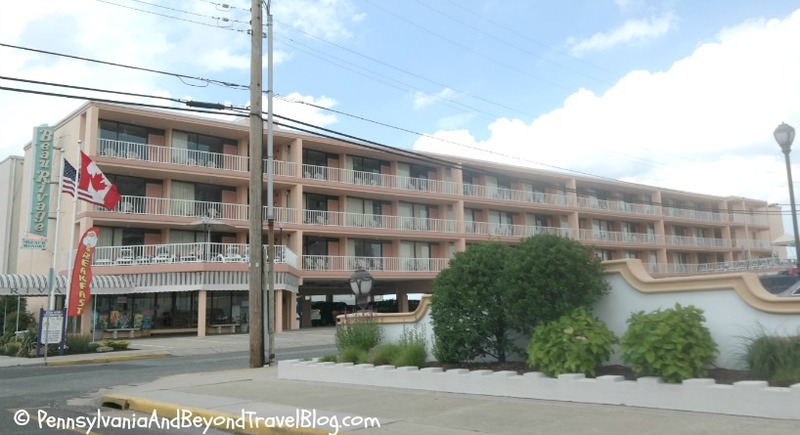 Suitcase Motel - This hotel is located in North Wildwood and offers your standard-style motel rooms. Amenities include refrigerators & microwaves in all rooms, a heated swimming pool, free continental breakfast for guests, barbecue gas grill, outdoor lounge area and more. This motel is open year-round and often runs specials. 11. Royal Canadian Motel - We have never stayed at this motel, but I've have friends who stay there almost on a yearly basis. They recommend this hotel due to the variety of different room styles that they offer. If you're handicap, they have elevator access along with other great amenities that you may be looking for. So there you have it, 7 great hotels, motels and inns all located in great areas on the island in Wildwood, New Jersey. I didn't realize that each part of wildwood was a separate town with its own government. I Agree with you that the Aloha with beachfront ocean view would probably be my favorite place to stay since I could choose between the ocean and the heated pool.